Simon Cookson is a real estate veteran with energy to burn. A leading light in the area for his myriad philanthropic endeavours, Simon is also an experienced mentor to up and coming agents. Firmly believing that real estate is a lifestyle rather than a job, his successful career in an often maligned industry, has been forged from resilience, honest self assessment, and 100% commitment to every transaction. A third generation Essendon local, Simon also feels it incumbent on himself to act with integrity out of historical respect for his parents and grandparents. Widely respected for his uncompromising commitment to a personal code of conduct and ethics, Simon does not shy away from delivering his clients the unvarnished truth. Simon is a dynamic and assured auctioneer, with outstanding negotiating skills and expansive local market experience to back up his strategic advice. 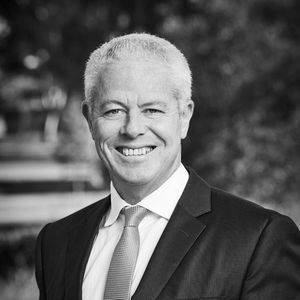 Working continuously in the area since 1985, Simon is right across the importance of balance, committing to annual holidays overseas with his marvellously supportive wife, Roma, and regular weekend getaways to Anglesea with his adult children and their partners. Along with tireless local and overseas charity work for many years, Simon recently conceived and helped establish the Strathmore Men’s Shed ; a hugely important initiative for both the area’s men and the community at large and one Simon should be extremely proud to have founded. Simon is a very solid, efficient agent with create knowledge of the market. He listens to understand the client's needs and is able to shift strategies when required. He is a clear communicator, very friendly and very easy to work with. I highly recommend Simon for your real estate needs. A terrific campaign and sale. The sale of my parents beloved home of 53 years was bittersweet, but Simon’s sensitively to these circumstances balanced with his direct yet considered approach made things a lot easier for me. From day one Simon listened to me. He sought to clarify what I hoped to achieve, and provided valued ideas regarding pre-sale improvements that could be made. His ideas were realistic and achievable, and made a big difference to the result. 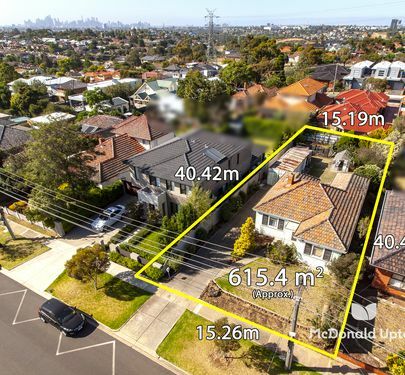 Communications about the campaign, inspections and the prospective buyers were frequently provided; and proved to be very accurate on auction day. I am very happy to recommend Simon to handle your property. He is also a wonderfully engaging auctioneer, and his words to the crowd really captured the essence of this property and how I feel about it. My parents would have been delighted. Dear Simon, I would like to take this opportunity to thank you for your professional handling of the sale of my late father's property. I was particularly impressed with your friendly, honest and straight forward manner. From the beginning you provided me with a timeline for the whole marketing process and spelt out the total costs of the campaign and the commission that would be charged from the sale. As you know, I also interviewed two other local agents, and neither were very upfront with this detail. Lots of excited talk, but no commitment to an actual figure. You kept me informed of the feedback you received from potential buyers after each open for inspection, and overall made the whole selling process relatively stress free. The icing on the cake was that you achieved a respectable above reserve price for our property! I am happy to say that I would have no hesitation in recommending you to family and friends looking to sell their properties in the future. Thanking you once again. Simon's personal and collaborative manner in guiding us through the journey from presentation and inspections to auction day resulted in a successful outcome for us and exemplified his approach that 'boutique is better'. He Did Exactly What He Promised! I certainly would recommend Simon. He sat down at the start of the selling process, explained everything clearly, up front and was clear, concise and did not fluff or exaggerate. He has an easy-going approach, instils confidence and is a very experienced and competent Auctioneer. I highly recommend Simon. He is an honest, up front, pleasant, hardworking bloke. Good Job Simon. We chose Simon Cookson and McDonald Upton Real Estate as we had previously dealt with them and found them to be trustworthy and professional. Once again, we were not disappointed and a successful sale was accomplished. Thank you to Simon and the team. A Top Notch Agent. Simon has a great knowledge of the business and I would highly recommend him to all concerned. We found Simon Cookson and his team at McDonald Upton very professional. They gave very good advice and were very knowledgeable about my area. They made the sale of our property very smooth and we were very happy with the price we received. 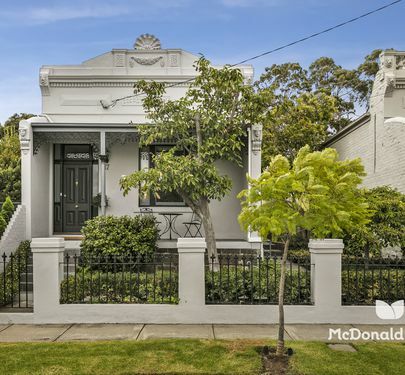 We would definitely recommend McDonald Upton as an excellent real estate agent. Never have I felt so confident when working with a real estate agent as I did with Simon. From the get-go Simon was professional, courteous, knowledgeable and efficient. He listened to and acted on my concerns and queries about the selling process. Regular communication and feedback were provided for the interest in my property and viewing times. At my request, Simon conducted a boardroom auction a few days before the auction date and the outcome was excellent. I cannot commend Simon and the Paul McDonald team highly enough. Towards the end of last year I began to consider the timing of when to downsize. Following very strong property valuations from three agencies, I decided to put my beautiful home on the market. While all agencies were extremely professional, choosing the agency to manage my sale came down to two or three key factors. First, having known Simon Cookson from whom I originally purchased this property, I felt his professional style could accommodate my intention to be fully involved in the process. His manner was respectful of my efforts to present my home to a high standard, as well as being prepared to listen to my reading of the market based on various sources of data. So, I felt we could work very well together. Simon reported regularly on progress and answered my questions honestly. The support staff at McDonald Upton managed all the marketing arrangements and processes seamlessly and communication with me was 100% and faultless. As the campaign drew to a close, I felt Simon was doing everything possible to maximise market awareness, to make himself available to answer queries as they arose, as well as to gauge the quality of the matches of the needs of those interested in the property and what the property has to offer. We were on the same page by auction day about the realistic pricing to expect and we were both clear about the process we would follow. The auction ran smoothly and the outcome was excellent for all parties concerned. These decisions are so important. 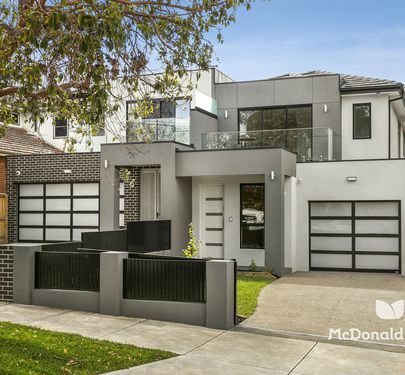 I recently listed my home with McDonald Upton Real Estate, with my agent being Simon Cookson. While selling my family home of 39 years could have been a daunting experience, Simon was able to guide me through this “journey” with sensitivity, humour and a wealth of experience. Not only does he have a great knowledge of the local and surrounding area, but his “people skills” are excellent – he is an effective communicator who works hard to achieve the best outcomes for both the seller and buyer. Simon communicated with me on a regular basis – I felt fully informed and listened to at every stage of the process. He also ensured that his team at McDonald Upton were fully aware of the progress of the sale and each member of the team was extremely helpful and very professional. The advertising campaign that was put in place was effective, targeting a wide range of potential buyers through different media, with the quality of material produced of an excellent standard. The company promotes itself as offering a personalised customer service and that is certainly what I experienced. I would highly recommend Simon and the McDonald Upton team to any prospective seller or potential buyer and wouldn’t hesitate to use their services in the future. Thank you Simon and the McDonald Upton Team. Thank you it was an absolute pleasure to deal with you and the team at McDonald Upton. A good result is not only the price achieved at auction, but the whole process itself. We felt so comfortable throughout the campaign, we were always updated and well informed. Our experience with Simon was one of honesty, integrity and professionalism. His knowledge and advice is first class. Julia thank you for all your assistance. We were confident we had appointed the right agent to market our home, your enthusiasm in the home and campaign was genuine. Our dealings go back to the purchase of Brewster Street, and if we were to stay in the area, without a doubt, we would entrust your services again. Your communication skills, support and services are standout. We cannot thank you both enough for all your efforts. We would highly recommend McDonald Upton Real Estate. Boutique is Better! 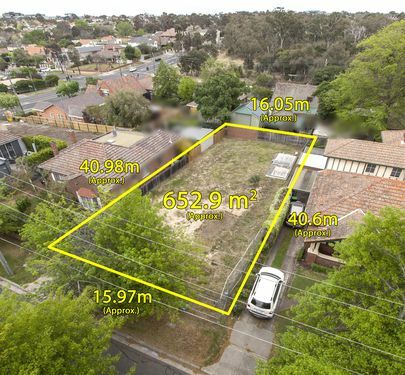 I would like to express my gratitude and congratulations to you for the way you handled the sale campaign for 74 McPherson Street, Essendon. I have been a property advocate for the past 16 years and during that time I have dealt with hundreds of real estate agents. Some good and some bad. It was a pleasure to work with you over the campaign, your honesty and direct no nonsense advice was a breath of fresh air and you carried out your role exactly as you said you would at the time you were appointed to sell the home. 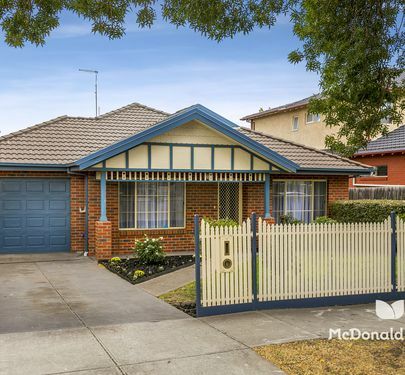 Your care and concern for the vendor’s expectations were much appreciated by our vendors especially as this had been their family home for the past 31 years and it was quite an emotional decision for them to sell. You acted professionally and your advice was honest and sound. Your auction style was relaxed and encouraging to buyers and right up there with the best. I have absolutely no hesitation in recommending you to prospective vendors and I hope that I will have the opportunity to use your services in the future. Thank you very much for your advice and support leading up to the sale of our place. And a special commendation for the auction itself. We would love to buy our next home through you! Thanks again for the great work in closing the sale on our property. Sarah and I are stoked that we could get a great deal done with so little pain. Our previous experiences selling a property have been a nightmare compared to this and we're very impressed with the services you have provided on behalf of McDonald Upton. 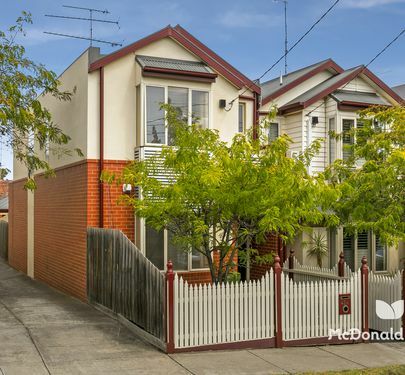 Simon it was a pleasure to work with you in selling our home in Essendon. The professional manner in which you demonstrated your earnest, efficient and exemplary business ethics were noted and greatly appreciated. You were always so keen and willing to do whatever had to be done and in so many ways helped to take the stress out of selling. We thank you so much for a job well done. Although some time has now past—I would like to let you know about the positive experience I have had with your Agency and your staff. In each and every dealing that I had with the range of people who work with and for you, I can only state how much I felt that I was indeed a client who would be listened to and dealt with respectfully. In particular, and with great appreciation, I would like to thank Simon Cookson for the considerable effort that he expended on my behalf. Simon was never too busy to take my calls or to answer the many questions with which I bombarded him. There were many times that I know he was busy, yet he did make me feel that I was the important client to him. He was at all times considerate of my home and my feelings around the sale of my home which, of course as you know, can sometimes be a rocky path. I felt that Simon was able to balance the very fine line between being a confidant to me in this undertaking, as well as maintaining the appropriate business inscrutability that must be required to successfully manage these transactions. I would be most happy to personally attest to the experience that I had with your Agency and I would have no hesitation to use your company again. I liked the relationship so much that I stuck with Simon and bought another house from him! After speaking at length with several agents, our family selected Simon Cookson to handle the sale of our family home and we felt throughout that this had been a sound choice. Simon understood the sensitivities involved in selling a home which had been owned by the family for over 100 years, and the dynamics of having four adult siblings needing to make joint decisions. He communicated well with all of us, providing a very clear and thorough briefing on how the sale process and eventually the auction would be handled. On the day, the outcome was excellent and we cannot commend the Simon and the Paul McDonald team highly enough. Peter, our girls and myself would like to thank you all for the care and professional manner you showed to us during our campaign. We are grateful for your hard work as a team which resulted in the sale of our loved home. We will strongly recommend you to all the other ‘downsizers’ but I feel Simon, the way you conducted our auction on Saturday any interested party will already have your name in their contacts. Well done! My wife Cheryl and I wanted to thank you and your team for a job well done in the selling of 13 Riverview Road Essendon. When we looked around we chose McDonald Upton Real Estate for a number of quite simple reasons, these include the following; We wanted a small boutique agent that would give us the level of support, service and options available a larger agency couldn't provide. We wanted the agent to listen to us and what it was that concerned us, as well as assist us in finding alternative solutions. We wanted an agency to think strategically and offer tactical opportunities that were designed to get a positive result. Finally we wanted an agency that we felt we could trust and look after our best interests when selling our home. These were and still are the reasons why we chose McDonald Upton Real Estate and why we would recommend to anyone the levels of service, support and integrity on offer through the agency. Thanks again and as always well done on achieving such a great result.